UPDATE: This deal is now over, but be sure to check out the latest sale on The Selling Family's courses, going for 50% off! You may already be interested in Amazon, but did you know you sell on Amazon? Specifically, Amazon’s Fulfillment program, otherwise known as Amazon FBA? Well, you can. It is certainly a lot easier than you think, however, there can be a bit of a learning curve for some. If you’re already familiar with the nuances of selling on eBay, then you may pick it up quite easily. However, if you’re looking to perhaps make an investment into your education of selling on Amazon, this week, there is an EXTREMELY valuable offer going on that ends June 19th! Read on! Amazon continues to grow and expand, offering us many ways to find our gifts for our loved ones, save money on groceries, as well as making our own merchandise. However the tried and true method many have found success with, is selling goods on Amazon, be it their own, or through various arbitrage methods, such as which Jessica Larew is famous for perfecting. How To Sell on Amazon – Meet The Selling Family! If you had told me back in 2008 that losing my job would be the best thing to ever happen to me, I would have said you were crazy…Through a bunch of tears and anger! You see, I had big plans for “climbing the corporate ladder” and making good money as someone who was in charge. But, the economy had a different plan, and working in the housing industry left me in a position that could be done without. Losing my job, really gave Cliff and I a chance to decide what was really important in life, and how we were going to move forward. So, we decided that I would work from home, we would start a family, and we would let go of the house we had bought during the housing BOOM (that had declined in price more than 50%). Things changed quickly as we got pregnant right after starting to try and Cliff quit his job to come work from home with me less than a year after I started selling on Amazon. During the foreclosure process (which takes For.ever) we were able to tighten up our budget, and save up some money. So, when the process was finally over, our business had actually started booming, and we had a good amount of money in savings. We were able to basically start our lives over! We were working for ourselves, making good money, and showing our son what it was like to work together as a family. Sound like something you might be interested in? Keep going! That’s Great! But What’s The Deal? 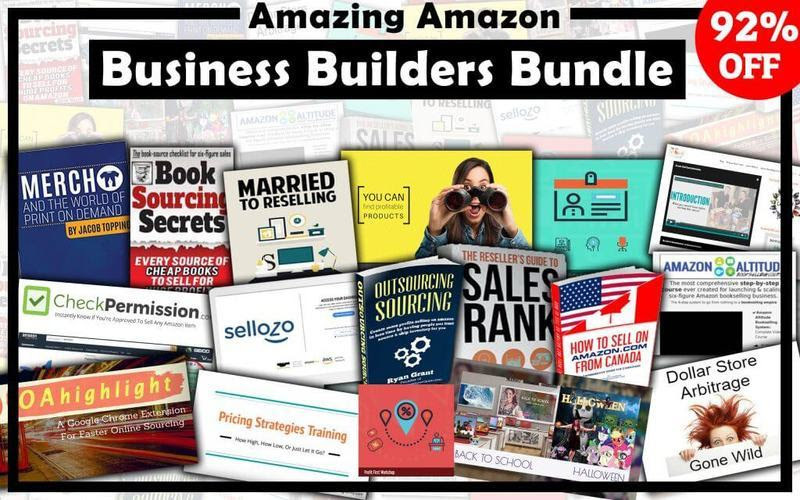 Well, to really get sellers to be on the fast track, Jessica was able to partner with some of the top sellers in the Amazon selling world to be able to offer a huge bundle for $97 ending June 19th, that would normally well cost over $1000 for everything being charged. This is over 90% off the regular purchase price, if everything was purchased separately. I have personally used some of these myself, so if you should have any questions, let me know! Here’s what you get in detail! This course will walk you through the 5 most important aspects of starting your Amazon FBA Business. *What it costs to sell on Amazon, so there won't be any hidden surprises! *Walkthrough to set up your Amazon account. *How to install and use the Amazon Seller App. *What Amazon Best Seller Ranks are and how they affect your buying decisions. *What the buy box is and how it affects your Amazon FBA business! You’ll learn everything you need to know about how to sell on Amazon.com as a Canadian. Including how to easily ship products to the US from the comfort of your home and even the option to never have to deal with borders at all. In this live training, different strategies are shared for making sure we have the best pricing to be selling our items on Amazon. There are different ways to approach pricing depending on if Amazon is a seller, there are other FBA sellers or if there are no sellers at all. Grab this recording to know what to do in any pricing situation and make sure you are always getting the highest price! If you have a successful Amazon selling business but feel like you’ve hit a wall in terms of growth, there’s a good chance you’ve simply taken the business as far as you can by yourself. In other words, it’s time to start thinking about hiring people to take on your most time-intensive activities. Things like sourcing and shipping. Outsourcing Sourcing contains my exact strategies for having other people (like friends and family) source products and ship them to Amazon – including the not-so-obvious best practices of creating and operating these arrangements. We talk to a lot of clients that want to outsource by hiring in their business. However, they have been stopped by fears on “how to” hire, not having the time to create the processes, or not knowing what to outsource. In this course, delivered with weekly lessons, you will not only get valuable information on how to hire your first virtual assistant (VA) but also include a non-branded video course and assign up to 10 of your VA's to train them in our method of wholesale and retail arbitrage sourcing. Amazon sales rank is easily one of the most complicated and misunderstood aspects of selling online. Too many Amazon sellers assume if an item on Amazon has a certain “good” sales rank, it will automatically sell quickly. This assumption falls apart when the seller realizes most their inventory is not selling at all, and to make things worse the prices of their inventory items have tanked. This courseis a combination ebook and video course that will walk you through how to best understand and interpret sales rank numbers on Amazon. The book is over 30 pages filled with teachings and illustrations that will help you understand not only how sales rank works, but also how to best use sales rank info to dramatically improve your inventory sourcing buys. The video course contains about 2 hours of content where you can see every aspect of sales rank explained in detail. This course will teach you everything you need to know to grow a six-figure book business on Amazon FBA. There are 40 extremely detailed video tutorials to take you from launch to scaling up your book business. This course will share over 40 places where you can source cheap book inventory to resell on Amazon. This is a bundle of two classes that will help you focus on Q3 sourcing. You get the Back To School Class and a Halloween Class. Each of these classes was recorded live. The sessions include retail arbitrage tell-all with real examples of products and product bundles that have sold successfully for me with real numbers, profits and ASINs. Lots of insider tips and no holds barred. Many of my most successful bundles cost $3 or less from Walmart and even the dollar store. Plus, where to start with white label. How to find workable niches and get your own products made quickly and affordably so you can own your own listing and start building your own brand. Our focus will be on super-low minimum orders from US suppliers. Did you know that there are items at the Dollar Store that are profitable on Amazon? Learn how to find these profitable products on Amazon. Also learn how to create profitable bundles using items from the dollar store. You will also get real-life examples of bundles that created from dollar store products and sold for a profit on Amazon. This 365 page book is your guide to all things Merch and the World of Print on Demand. This guide includes step-by-step instructions on exactly HOW to use POD services. There are also tips for settings, conversions, tech specifications and additional tools and resources to help you improve your sales. Comes with over 300+ resource links and dozens of videos. In this class you will learn two skills that have the potential to double your profit. Research is the key to profit. Learning to do research to find profitable inventory is the best thing you can do for your business. The second best thing is to put your research skills to good use by finding a special set of products to sell within a niche. With this combination of skills, the sky's the limit for your bottom line. For this workshop we teamed up with Cyndi Thompson, a Profit First Professional. She walks you through the basics of using this entrepreneur-friendly method of finally getting your financial control. This course teaches you how to specifically implement the teachings of Mike Michalowicz, author of Profit First. Working from home sounds easy, but if you’ve done it for any amount of time, you know that it can be difficult. There are times at home when you need to be working, but your spouse or kids are demanding your attention. You don’t want to ignore them, but sometimes it could really interfere with the work that needs to get done. And the opposite is true as well. Sometimes we can get so caught up in the life of a reseller that we begin to neglect the people we love most, who are often in the next room wondering when we’re going to take a break and spend some time with them. In Married to Reselling, Stephen & Rebecca Smotherman will walk with you through ways we can all find success in balancing our time with family while working from home. We’ll tackle both the business and personal sides of life as a reseller, and we’ll help you explore a system that works best for you and your family. Savvy Amazon.com (U.S.) sellers use CheckPermission for instant, on-page notification telling them whether not they are authorized to sell any physical Amazon product. 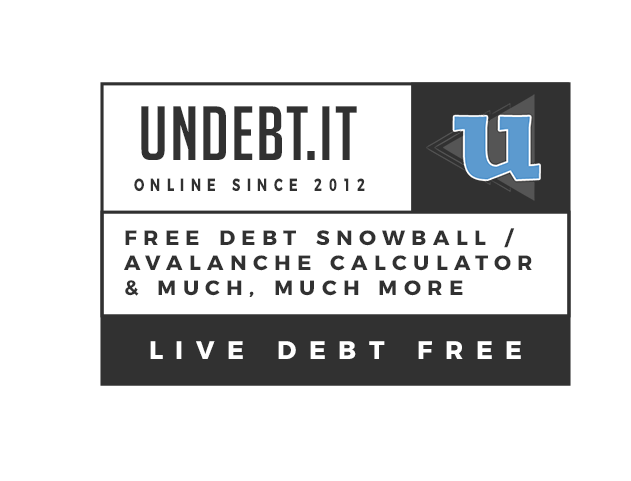 Works on MAC or PC (requires the free Chrome browser). 100% Amazon and browser compliant. Also shows alerts on-screen for you InventoryLab users! OA Highlight is a chrome extension that will help you quickly search any text on the website of your choice. How it works: 1. Highlight text 2. Right click 3. Search that text in any of the included sites. With advanced data analytics, Sellozo’s platform provides continuous automated bid optimization to keep your Amazon PPC ads as cost-effective as possible. The average Amazon seller using Sellozo to optimize their Amazon ads has a profit increase of 28%. By automating Amazon ads with Sellozo, sellers can increase their organic product ranking and lower their ACoS. Bulk product ad launching, automated keyword identification (both positive and negative), and automated manual campaign launching are just a few of the time-saving features Sellozo offers. Don’t waste time entering custom rule sets or digging through spreadsheets. Let our fully-automated platform optimize your Amazon ads while you focus on other aspects of your business. So make sure you grab this limited time only bundle today, as it probably won't be offered again any time soon, if ever! Newer PostIntroducing: The Script-Notes Show!